The decision by our club to sponsor a student was made at the suggestion of current club President Mark Zalewski, following his first trip to Guatemala back in February 2013. The club sponsored its first student in 2014-2015, a 19-year old young man named Esvin, who was struggling to complete high school. Well. The good news! He made it to graduation and club member Linda Edelstein attended his graduation in November 2014. Our second sponsored student was Yenifer. She just graduated and Gwen and Ken Condon were there to represent our club in November 2015. In the current year 2015-2016 we are sponsoring a young woman named Linda. She will graduate in November 2016. Would you like to represent our club at Linda’s graduation? The cost to you, including your airfare and hotel is approximately $1,100. 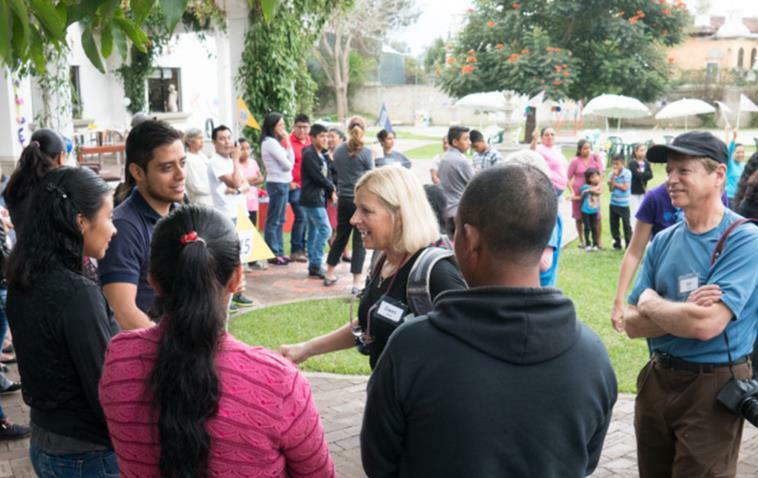 Your time in Guatemala will be organized and managed by Common Hope, from airport pickup to departure. The school year in Guatemala extends from January to late October. Guatemala is a great place to spend a few days in November if you live in Wisconsin. 7:00 a.m. Welcome breakfast at Porta Hotel Antigua ~ Gwen reported they had luxury accommodations. 8:30 a.m. Partner School Event. 1:00 p.m. Visit San Rafael. It all goes back to February 2011 when four members of our club — Jan Constable, Fred Gettelman, Erik Moeser and Tom Pyne — travelled to Guatemala to assess an international service opportunity where members could put their “boots on the ground” in an international service mission. The team liked what it saw. The rest is history.